I know what you’re thinking, either yay Christmas or it’s way to early to be thinking of Christmas – but no matter what you say, we are proudly going to share with you a very simple Christmas not Christmas pudding. I don’t know about you but we personally are not the biggest fans of Christmas pudding – the raisins and mincemeat is just not what we enjoy, and I know some may agree, but why should we miss out on having a traditional dessert that looks so amazing? So we’ve taken upon ourselves to create a very chocolatey Christmas loaf cake. How could you even say no to chocolate with chocolate chips topped with white chocolate? 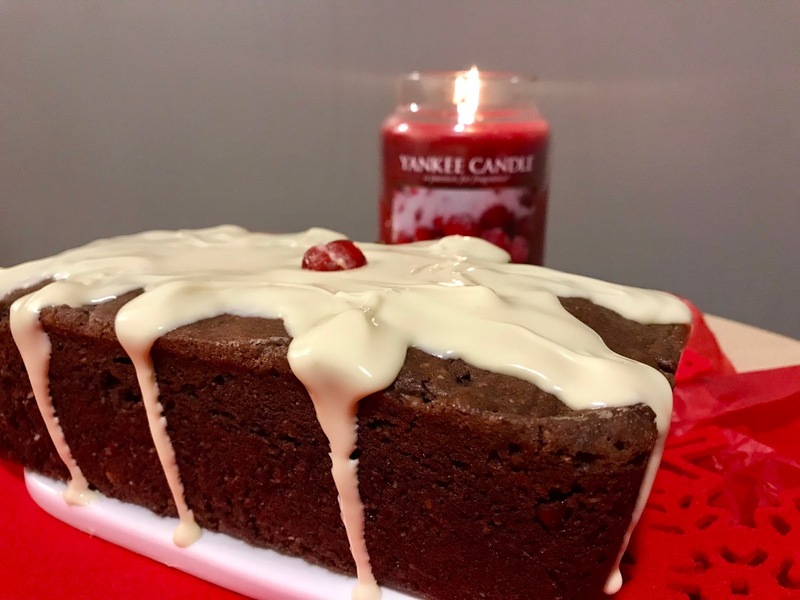 Although we produced this cake as a loaf, it could easily be alternated to a typical Christmas pudding tin to make it that little bit more authentic. What do you think? Could this be the best alternative? 1. Heat oven to 160C/140C fan/gas 3. Grease and line your loaf tin with a long strip of baking parchment or grease with butter. To make the loaf cake batter, beat the butter and sugar with an electric whisk until light and fluffy. Beat in the eggs, flour, almonds, baking powder, milk and cocoa until smooth. Stir in the chocolate chips, then scrape into the tin. Bake for 45-50 mins until golden, risen and a skewer poked in the centre comes out clean. 2. Cool in the tin, then lift out onto a wire rack over some kitchen paper. Melt the white chocolate chunks separately in pans over barely simmering water, or in bowls in the microwave, then use a spoon to carefully decorate like a Christmas pudding, adding the two cherries on top and a leaf of mint. Oh what a great treat for the festive period a cross between a Christmas pudding and cake and a chocolate twist. Delicious. I don't like Christmas pudding either, everyone always acts like I'm so weird! This recipe looks AMAZING, I don't think I'll wait until Christmas to make it. This looks so good. I’m not really a fan of sweets but this could be something I could sink my teeth into. Thanks for sharing this! 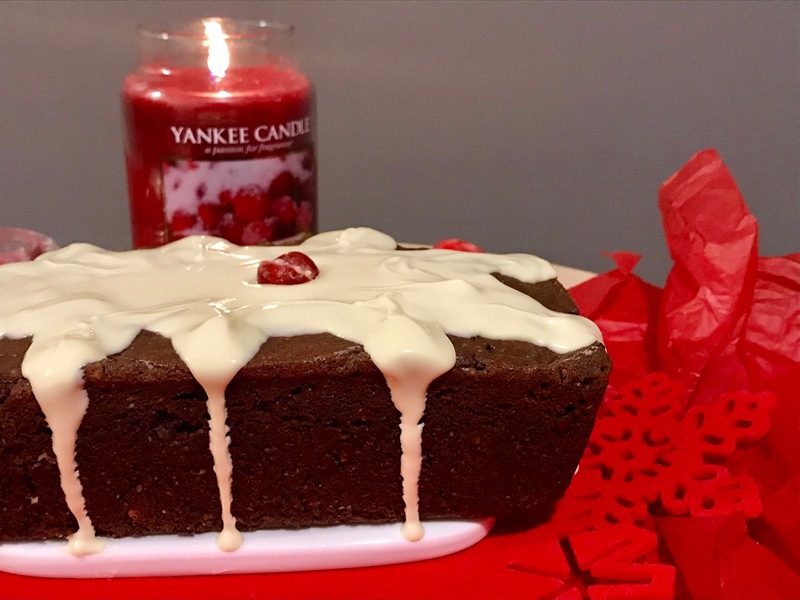 The chocolate Christmas loaf cake is something that I'd defintely like. As you mentioned I'm also not a fan of Christmas pudding either so this loaf cake would be a perfect subsitute! I love the photo too! This looks so good! I don't like Christmas Pudding so always on the lookout for new recipes! Okay food and baker team, I am DROOLING. I never liked Christmas cake as a child; growing up, I somehow came to enjoy it only with custard or a side sweet sauce. Thanks for this recipe!